Loot, fight your enemies and survive -- be the last person standing! You'll have to shoot while looking for shelter in this crazy battle to death! Are you an action game connoisseur? Well, one of the most dangerous gangster families in town is coming for you! Grab your weapon and shoot them down before they can hurt you. Complete the missions and collect money and power-ups to buff your equipment -- survive! A game that is sure to keep you hooked for hours! Discover a dangerous post-apocalyptic world full of bloodthirsty zombies and try to survive. Drive all kinds of vehicles and crush as many creatures as you can! Become one of the heroes that can save the new world in a powerful car and clear the roads. Don't forget to customize your vehicle as much as you want! Some black magicians have managed to open a portal to Hell, so waves of monsters and evil creatures are coming to Earth and wreaking havoc. 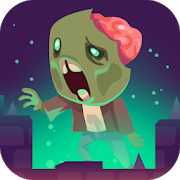 Prevent them from infecting humankind and making everyone turn into a zombie! You're the only hope, so gather your courage! Discover this FPS where you control the sergeant in a highly-qualified special unit. Sneak into your enemies' facilities and defeat them all -- collect new weapons and pieces of armor to stay safe! Drive along an endless road in the middle of Siberia... Running away from the zombies in a post-apocalyptic world! Get in your old truck and try to go as far as possible. Shoot and have fun! Taking revenge on the Miami mafia is no easy task, but it sure is thrilling! Shoot your enemies, get the most amazing weapons and drive around the city while exploring the area. Try to survive and find power-ups that make things easier for you! This ride isn't gonna be exactly peaceful... There are bloodthirsty zombies everywhere! Equip your vehicle with all kinds of weapons and shields, manage to cross the city and stay safe from the brain eaters. Don't get caught and gutted! Discover this sequel where you'll control classic characters such as James Bond, John Wick or Agent 47 around all sorts of 3D maps. Don't forget to choose your weapons before joining a new game! Besides PvP you can enjoy a crazy zombie mode. This city has changed a lot -- gangsters took over the streets, there are criminals everywhere, banks are not safe anymore and the drug lords do business in plain sight. Put an end to this wreck! Give the criminals a taste of their own medicine -- grab a gun, steal cars and tanks, shoot the gangsters, bribe the police and bring peace back.